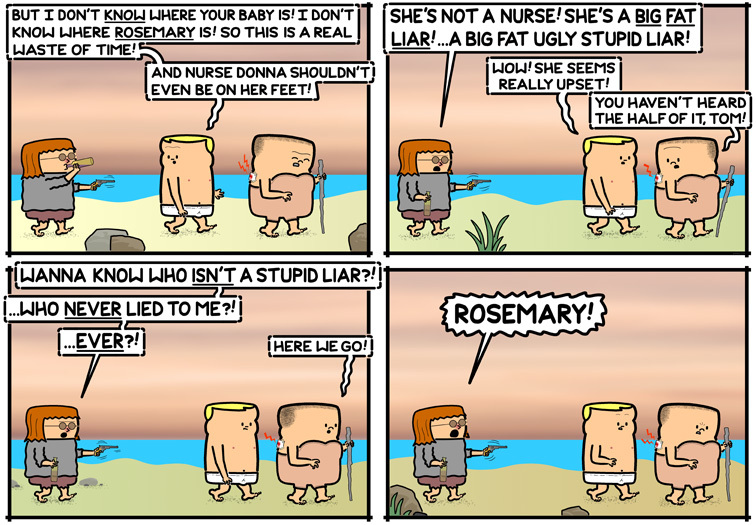 Had Scotty maintained the Rosemary persona and not lost the baby, he could have become Gretel’s partner, kept the baby, and lived happily ever after on an island paradise. Until he got bored, yes. On the plus side, Gretel makes a better daddy than Scotty ever has a mommy. I think I need to go vomit some of this nope out.